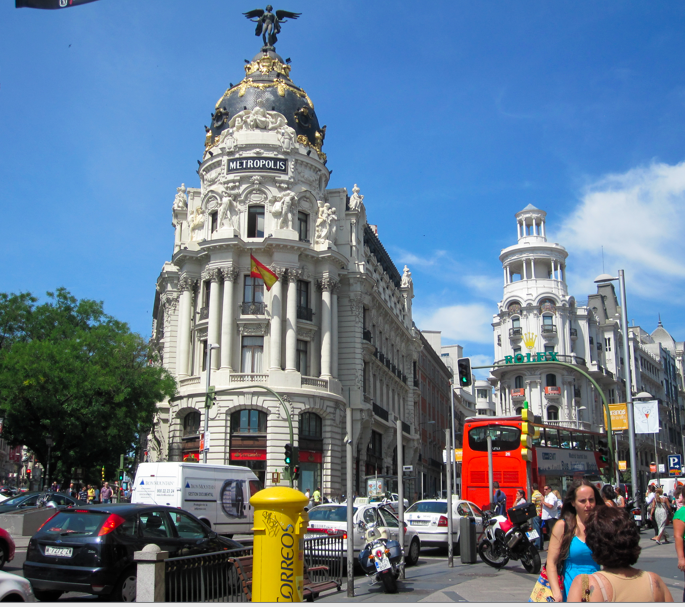 Most of my days in Spain were spent aimlessly wandering around the streets of Madrid. I liked living in a big bustling city. Everyone always had somewhere to go, see and do….but not me. I just sat, watched and walked. I walked from Plaza to Plaza, bistro to bistro, and museo to museo. I ate more olives (aceitunas) than one could possibly count. Green olives, red olives, black olives, reddish brown olives and I swear some were even purple….. This olive based diet was not a product of my obsession with this vegetable-fruit (although I do love them), but rather because every café, restaurant, bar or bistro in Madrid supplies its patrons with a deliciously endless plate of complementary olives. Couple that information with the realization that the wine was quite literally cheaper than a glass of water and you have discovered my daily lunch menu. 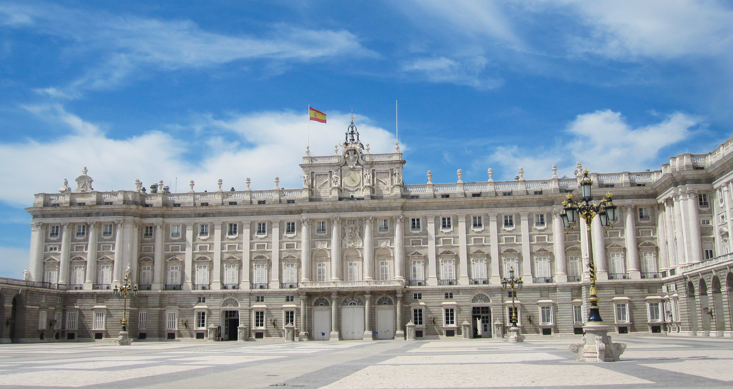 My first few days in Madrid I explored all of the big tourist spots. I visited the Plaza Mayor, The Royal Palace, The Opera House, Botanical Gardens, The Soccer Stadium and The Bull Fighting Ring. But after a week or so I settled down into a routine of exploratory leisure. I woke up late in the morning, got dressed, walked to the Metro station and started my day in front of the Banco de Madrid. Here I would get some breakfast, which usually consisted of a chocolate croissant and a café con leche. I would sit outside and eat it while I watched the businessmen and women hectically go about their day in this bustling city center. 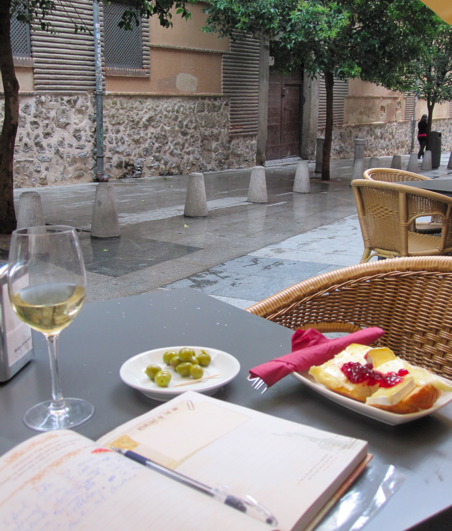 When I was finished with breakfast and people watching I would start my daily stroll through the city. I always took the Metro Line 9 and then I always transferred to line 2 at Principe De Vergara station even though there were other stops that were just as easily accessible and direct. I choose this particular exchange because of a street musician who’s violin filled this station with sounds of Vivaldi , Mozart and Chopin. Sometimes it saddened me at the number of people who took his presence and talent for granted. Everyday the same thankless crowd would walk by without a single glance or indication on their daily commute to their busy jobs. Yet I suppose I was just as guilty. I justified myself by the fact that I often stood and listened and give him an euro each day. Yet I did nothing more than wonder what had led him to this life. Did he know how much joy his notes brought me everyday? Did he know that I organized my daily commute so that I could hear him play? I wonder if he is still there playing, providing a beautiful and consistent service for those who are too busy to listen or care. Yet I am sure he will be missed once the station falls silent. My stroll varied each and everyday but generally consisted of the same elements in different variations. The best route would start at the Peurta del Sol to visit the infamous bear of Madrid Statue. I did not stay here long because during my tenure in Madrid this plaza had become a makeshift tent city full of thousands of “angry youths” protesting the Spanish government. It was a sort of precursor to the Occupy Wall Street movement that would happen a year later in New York. I could understand their plight. Spain had a 24% unemployment rate at the time, yet most of these “angry youths” looked pretty content with their jobless career of getting high and making a mess of the beautiful city square. 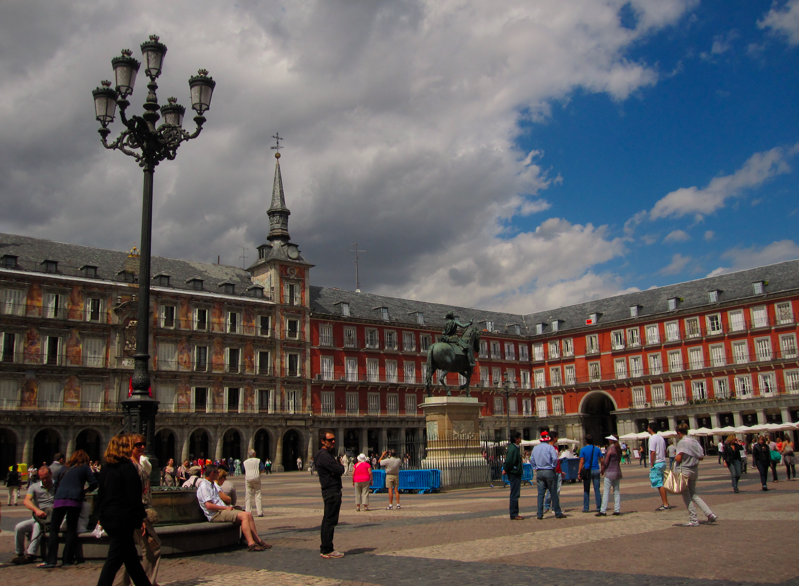 I would continue my journey from the crowded and somewhat shady Puerta de Sol to the Plaza Mayor. Here I would stop and look at the street artists and visit some local shops. This ancient City Square is beautiful and full of rich history, yet it is also a tourist trap. The restaurants surrounding the Plaza are inauthentic and drastically overpriced so I would stroll onward. I’d get lost in the cobbled stoned back streets of the old city to find a cozy little restaurant off the beaten path. I would finally find a place away from the expensive tourist restaurants filed with English menus. And I would sit and eat my free plate of olives and drink my seemingly perfect glass of wine while I journaled, wrote post cards and reflected on a perfect day strolling around the city. After I had my fill of wine and reflection, I would continue my promenade through the city. 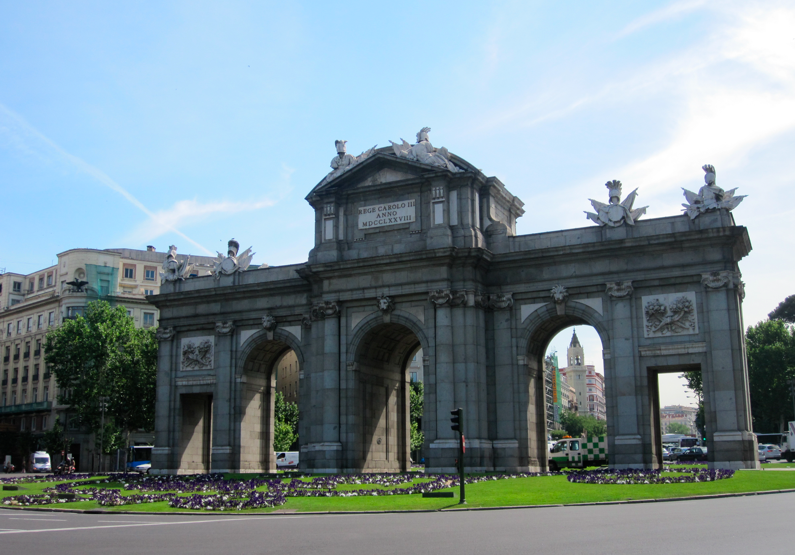 I strolled past the Gran Villa, the Plaza de La Cibeles, the most beautiful palace/ government building in Spain, the triumphant archway of Puerta de Alcala and on to El Parque del Retriro, which is one of the most enchanting and peaceful parks in the world. 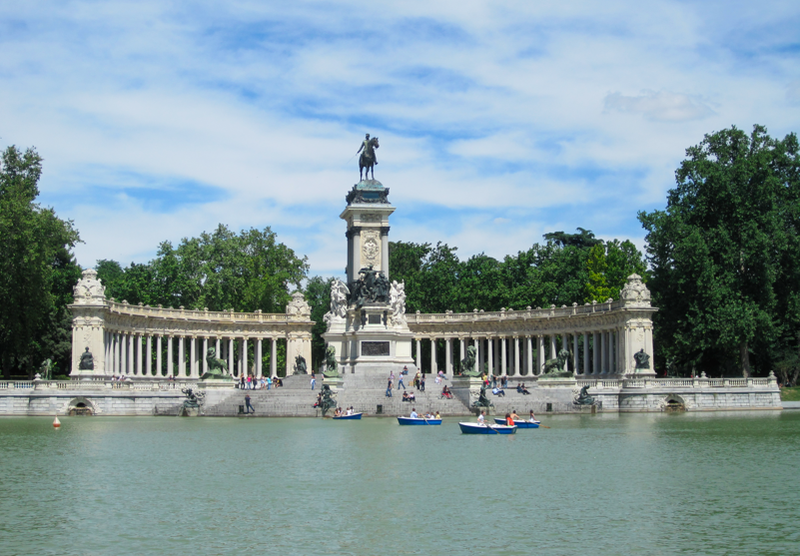 I could spend the entire day just in this big city park watching the boats paddle in the pond in front of the Monument to Alfonso the XII. The best part of my Madrid Wanderings was that I never knew where I was going to end up. Each and everyday was different and I simply followed all of my whims and fancies. Inevitably I would stumble upon some festival of some sort either at the park or the Plaza Mayor. My favorite day was when I happened upon a used book festival. I spent hours combing through the giant outdoor library. That is the beauty of an unplanned day, each new café or park or monument becomes a little gift. You can take the same path the same day for 20 days in a row yet each day has its own little discovery or gift. Each day can be a new adventure if you only allow yourself to open your eyes and truly see the world around you and if you are not afraid of getting a little lost along the way.